To create the V-Star 650 Silverado, we took the award-winning engineering and styling of the V-Star 650 Silverado and piled on some of our most sought after extras: an adjustable windshield, studded seats, a comfy backrest, and leather saddlebags. This bike is perhaps best known for its awesome styling, but it’s also remarkably light and easy to ride – and affordable. For 2005, we’ve added even more chrome, a speedometer face that’s easier to read, clear turn signal lenses and new 3D side cover emblems. 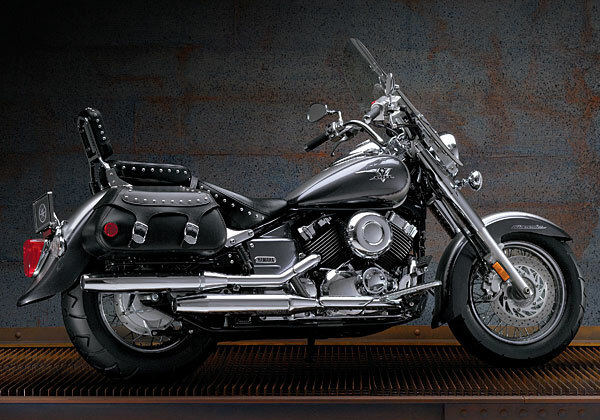 Get an eyeful of the classic styling, legendary Yamaha reliability, and a whole lot of extras. If you don’t mind us saying so, we think you’d look pretty cool riding one. 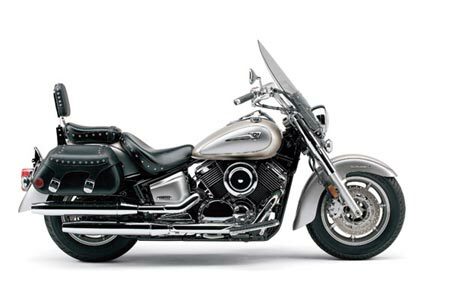 Plushly padded, low-profile, studded rider seat provides exceptional rider comfort. The low 710mm (27.9″) seat height allows most riders to put feet firmly on the ground for extra confidence. The passenger seat is also studded. 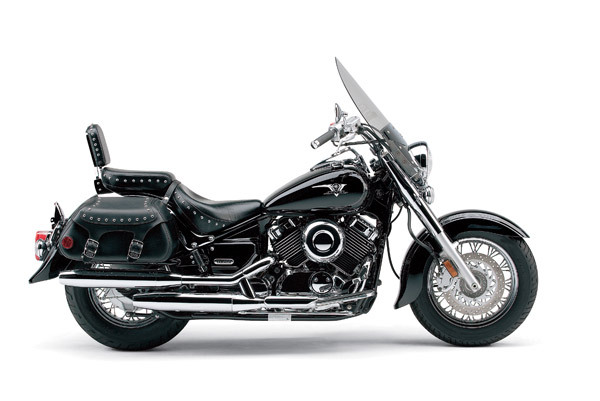 Roomy, studded leather saddlebags look great, maintain their shape and provide ample storage for casual touring trips. Revised fuel tank-mounted speedometer features an odometer and tripmeter displays. For 2005, the speedo face has been upgraded and now features 3D speed graduations. Beautiful 3-D fuel tank and new 3D side cover emblems reinforces the Star family’s attention to detail and value.